The Christmas Party Season is one I love and fear in equal measure. I have a rather 'Don't Keep For Best' attitude when it comes to my day to day wardrobe, which means when I need / want to go glam, I have to pull out all the stops!! When the team at George contacted me to review their Christmas Sparkle range, I had high expectations of full on shimmer! 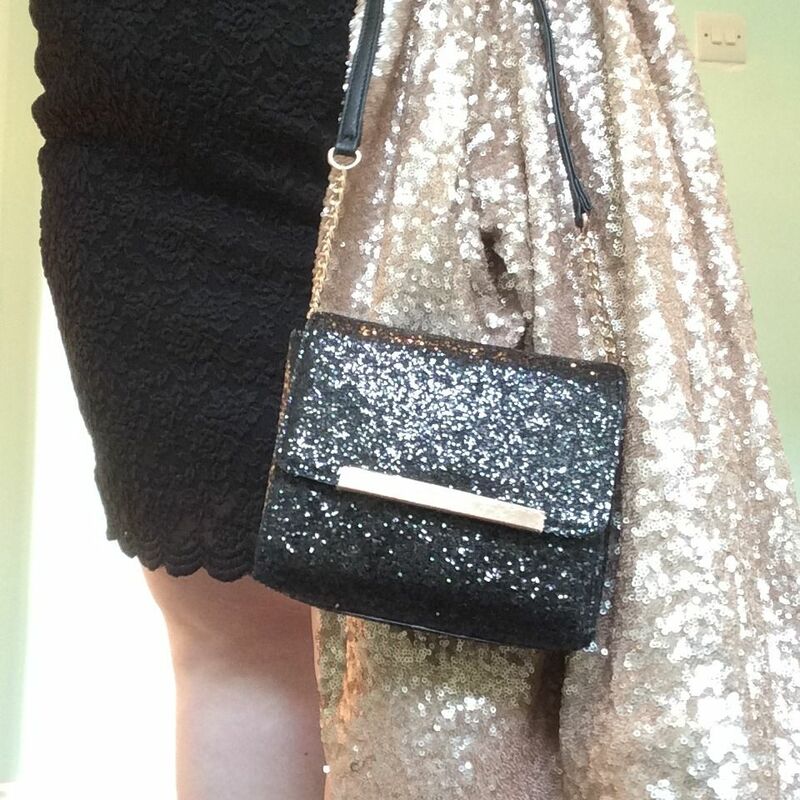 I teamed it with this simple bag (similar here) with a hint of sparkle, and I had also picked out a pair of gorgeous sparkly brogues, which sadly didn't fit my wide size 8 feet. 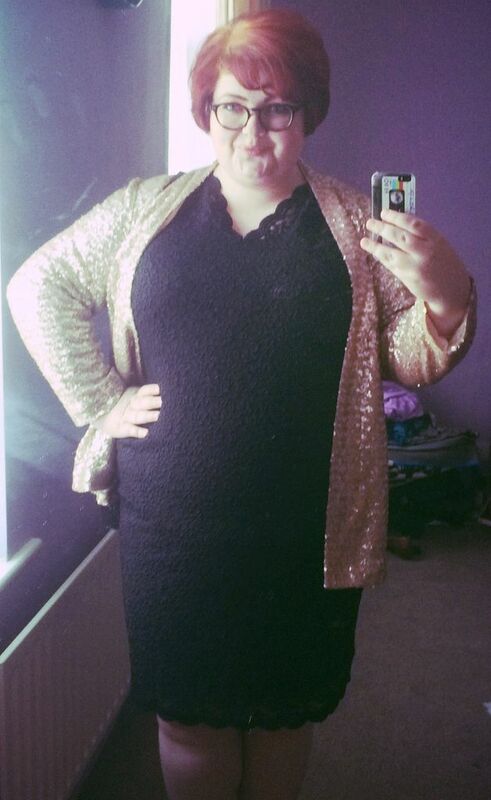 I wanted to tie all the sparkle in together, without being obviously feminine (with heels) but I did want to try to make an effort with tying the shoes into the outfit as a whole! 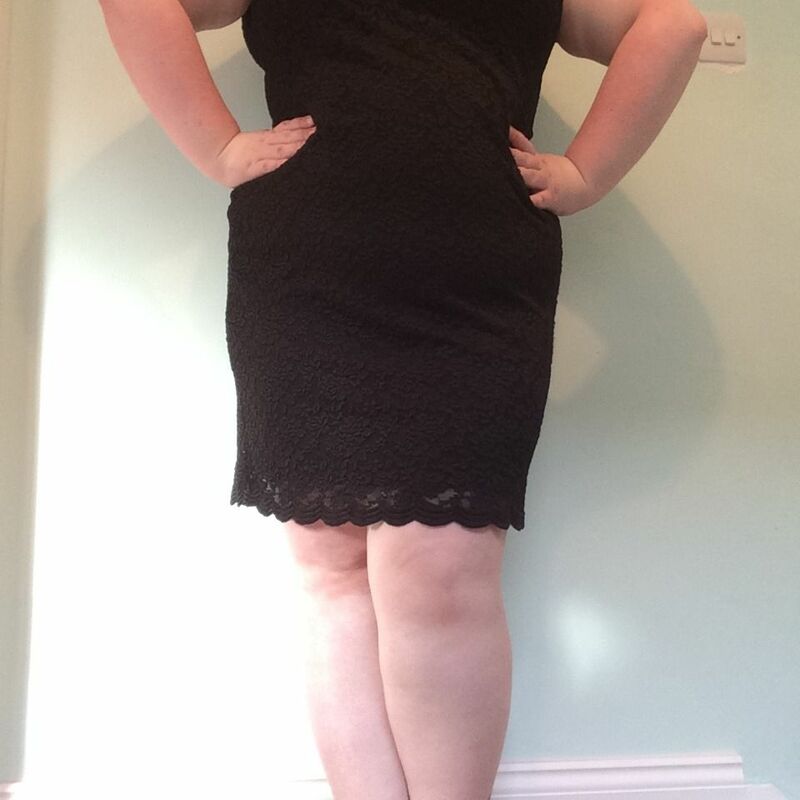 I wanted to team this dress with some 100 denier tights, but then the lace scallop hem detail would have been lost against the black - so bare legs for the win with this dress! The deep v neck at the front of the dress is rather nicely mirrored at the back, so it's a shame to wear the blazer the whole right, right?! And a cute little out take from a self timer fail! Makeup wise I didn't want to go overboard, so I went for pale coral lips, and a double eyeliner on the eye! 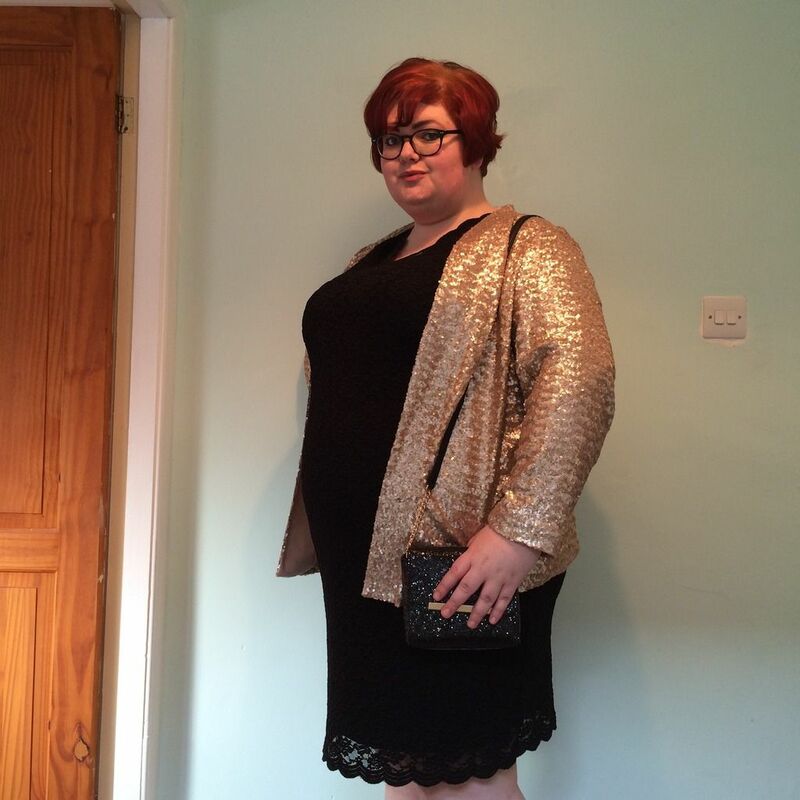 I was lucky that I was able to get all the items from ASDA George, but the main item - the blazer, could have been added to any dress in my wardrobe, to bring the dress kicking into the Christmas Party Season! I'm actually looking forward to teaming it with jeans and a top for a completely different look! Check out how the lovely Sarah styled her blazer here. 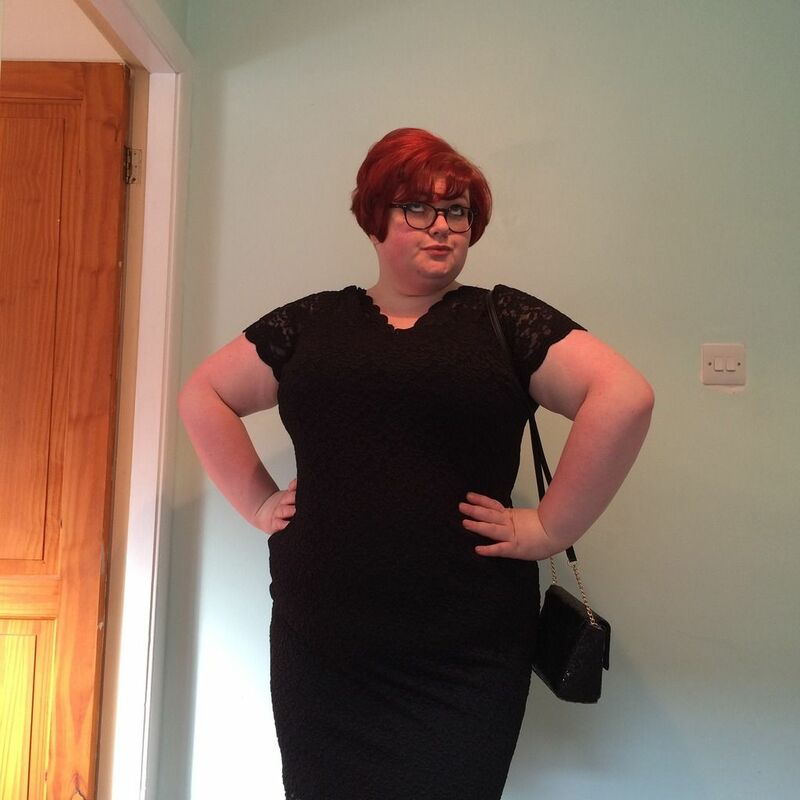 Joan Holloway ain't go nothing on this! You look amazing my dear ... like truly amazing!